The Senior Interior Design students of St. Scholastica’s College-Manila (SSC) will be holding its Interior Design Graduation exhibit entitled “PARALUMAN: DESIGN FOR A CAUSE”. Exhibit date is from the 6th to the 11th of May 2018. The word “Paraluman” is a Tagalog word similar in meaning to the English word “paragon”. It means a lady of extraordinary beauty, grace and, above all, virtue. They would like to give tribute to Sr. Asuncion Ventura for her dedication and her generosity for all her efforts in establishing the asylum for the homeless and orphans. 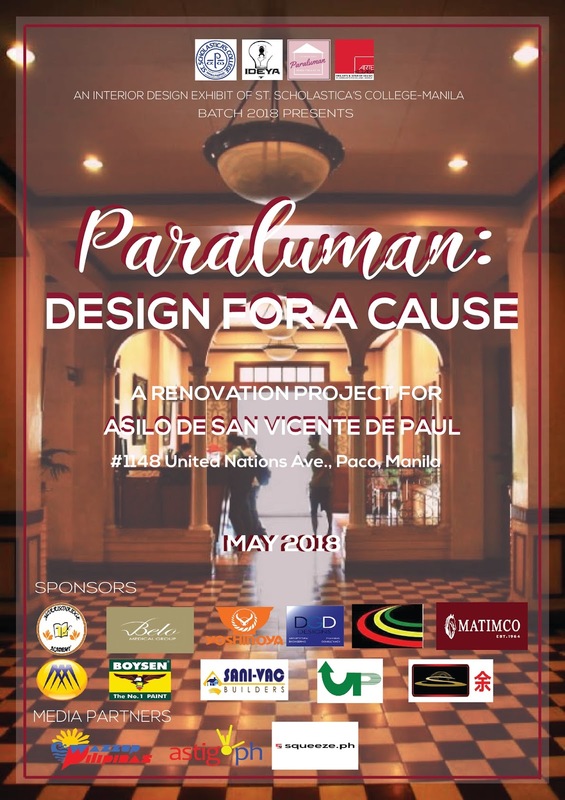 Committed with their Benedictine values and living out Ora et Labora, they are funding for the design of one of the areas of Asilo De San Vicente De Paul, an orphanage located in Manila, Philippines.